Cheryl Jackson and Charlie McCoin are the dynamic duo of comedy with a Southern flare. Separately they have entertained audiences around the country using their southern humor and charm, and now they are teaming up to reach new audiences. Cheryl is an award-winning singer turned comedian. As a singer-songwriter, she has traveled all over the country sharing her music with audiences of all sizes. Always being the life of the party, Cheryl has brought her sense of humor to the stage in addition to her music. 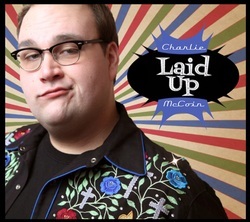 Charlie McCoin is a comedian, speaker and writer from just outside Nashville, Tennessee. He brings his unique style of comedy to the stage using clever wit and southern charm. He's performed all over the country from Nashville to Chicago to Los Angeles and a few living rooms in between. He's also an accomplished actor, which means he's auditioned a lot. This duo would be perfect for any event. For churches, Cheryl and Charlie provide an event full of comedy, music, and worship leaving audiences feeling renewed. They would be ideal for a celebration, to launch or conclude a conference, or used for an outreach event. The duo would be perfect for charity and civic events. They’re comedy is good for the whole family not leaving a bad after taste.